Berlin and UK-based artist, Martin John Callanan, shows a new work at Vitsœ’s New York shop. Vitsœ likes to share the work of creative people. So when Berlin and UK-based artist (and Vitsœ customer), Martin John Callanan, asked to show a new piece for the first time at Vitsœ’s New York shop, its team were happy to oblige. ‘I Cannot Not Communicate’, consists of the top 100 books recommended to Callanan by Amazon, based on everything he read and bought since the online retail giant first launched its recommendation algorithm over 15 years ago. The books are displayed on trusted shelves, with chairs and tables to ensure your time interacting with the artwork is a comfortable one. The event will take place during a busy time with New York design week and Frieze Art Fair New York occupying the city – all the more reason to take a moment to pause in comfort at the New York shop at 33 Bond Street. 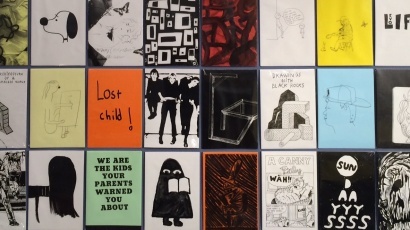 To accompany the installation, Callanan has produced a Risographed pamphlet, including a text by Marialaura Ghidini. A limited number of copies are available free to visitors. 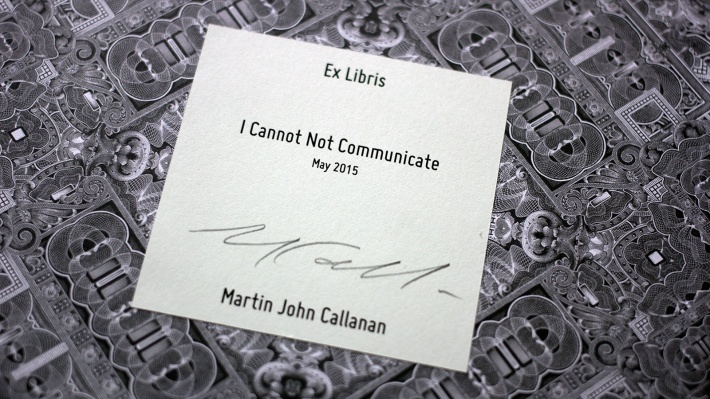 Martin John Callanan is an artist researching an individual’s place within systems. Recent solo exhibitions include Noshowspace, London, Horrach Moya, Palma and Or Gallery, Berlin. His work has been shown at White Cube, James Cohan Gallery, Whitechapel Gallery, International Film Festival Rotterdam, Whitstable Biennale and Imperial War Museum. 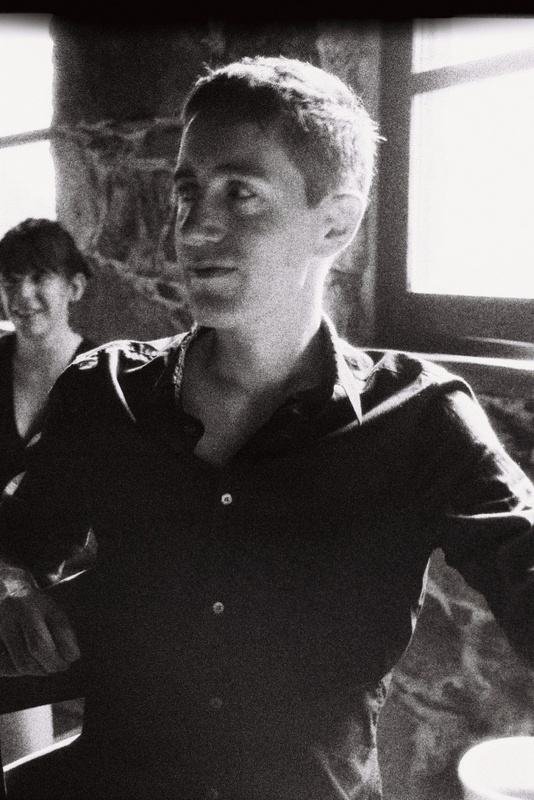 He is recipient of the Philip Leverhulme Prize in Visual Art. Open late Saturday 16 May, 18:00–21:00. No need to RSVP. Come down, see the work and share a drink with Vitsœ’s affable planning team. Analog music. Paper catalogs. Magazine archive. 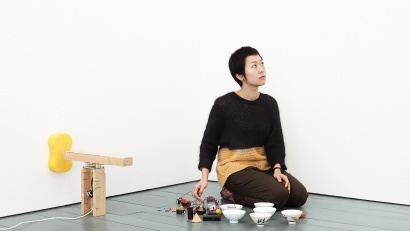 Listen and explore with a very nice cuppa during London Design Festival. 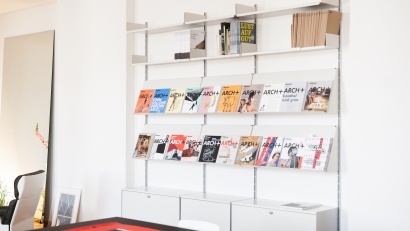 Vitsœ Reading Room in Berlin during May at the ARCH+ Studio. 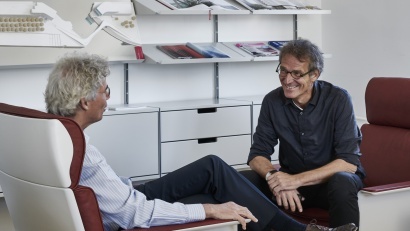 Following the success of our first visit to Berlin, Vitsœ planner Mirko Meznaric will return to the ARCH+ Studio.